Jo Elg's July 17 guest opinion, "Snake River dams, salmon can coexist," is a cut-and-paste job from a Bonneville Power Administration "fact sheet" that is full of falsehoods that are debunked in a report titled "The Northwest Big Short". The real facts: The four lower Snake River dams are dysfunctional pork barrel projects that were not designed to pass Snake River salmon as required by law. Billions have been spent in futile attempts to correct that design flaw. Snake River salmon were driven onto the List of Endangered Species. The economic, ecological and social impacts extend 1,000 miles inland and thousands of miles along the Pacific coast. The dams are the most economically costly, ecologically destructive and socially damaging energy facilities in the nation. The Northwest Power and Conservation Council's Sixth Power Plan states that the region can retire all of its existing coal plants and remove the four lower Snake River dams and customers' monthly power bills will actually decline due to more efficient use of energy. 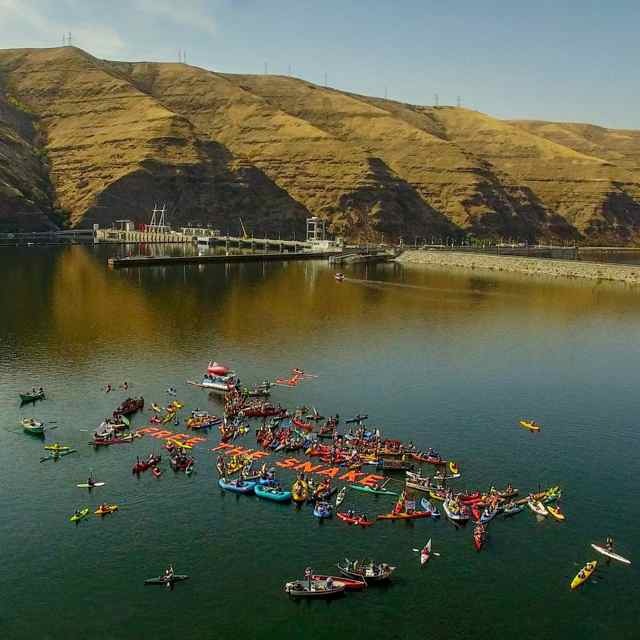 The facts are in: Either the lower Snake River dams or Snake River salmon and dependent economies must go. They cannot coexist.